Growing up, my Irish mammy loved taking my sisters and I on family picnics. She’d drive us out to the ocean, or stop at picnic tables somewhere in the middle of the Santa Cruz Mountains. Weekends were for exploring new ground and no matter where we went my mother was always prepared with her picnic basket. It’s been so long since those days, but when my friend, Claire, suggested a picnic in the park I was all for it! Claire knew of a picturesque location in Palos Verdes for our picnic. We packed a generous pile of tasty desserts. I made chocolate dipped strawberries, and we left the rest to the experts at Vanilla Bake Shop and Whole Foods, because who doesn’t love delicious macarons and cookies! Our sweet picnic fare was topped off with a bottle of bubbly. 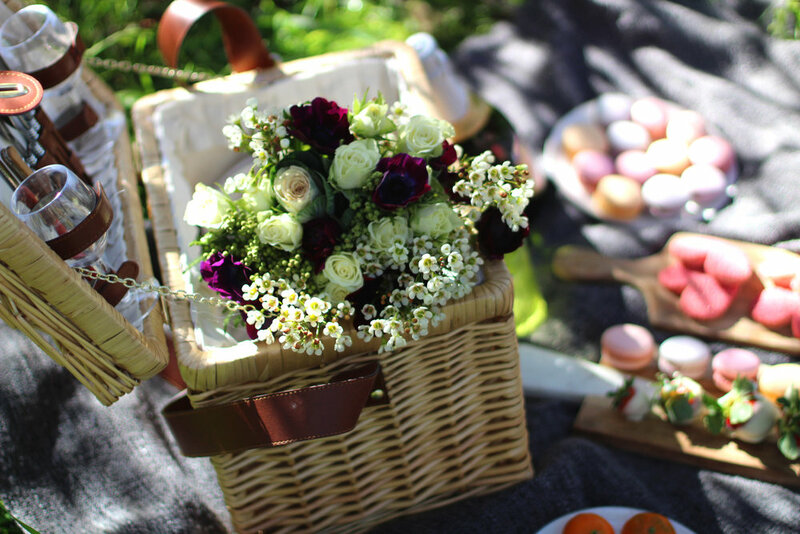 Spending a relaxing afternoon with a picnic in the park was so much fun that I cannot wait until our next one. I think the pictures say it all! 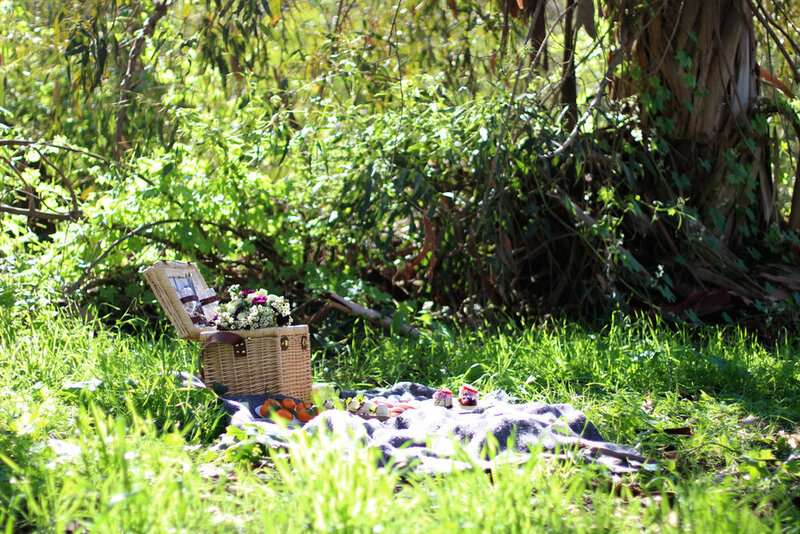 Since picnics are a great way to surround yourself in nature, I thought it would be fun to share a list of my favorite places to have a picnic in Los Angeles. You will notice that I did not include the beach. While you could indulge in a spread of food with a scenic ocean view and the smell of salty air, I find it not to be the wisest of choices. I write this mostly because I have seen seagulls attack people for their food, and the last thing you want is sand in your food or a seagull stealing your sandwich! Therefore, here is a list of more calm and peaceful locations to enjoy a picnic lunch. Enjoy and don’t forget the bubbly!